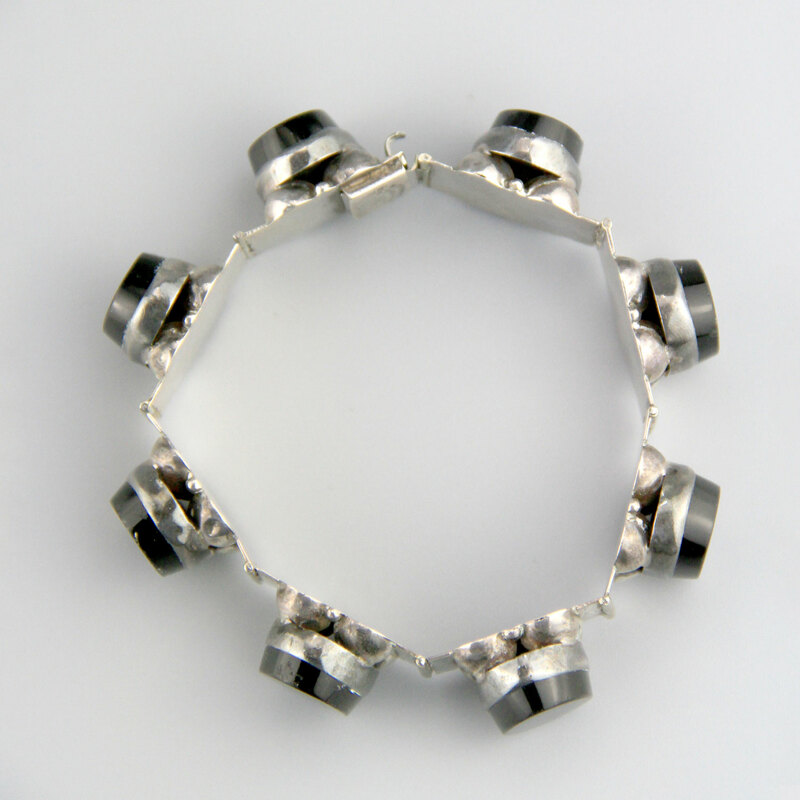 Lovely Mexican sterling silver vintage statement bracelet. 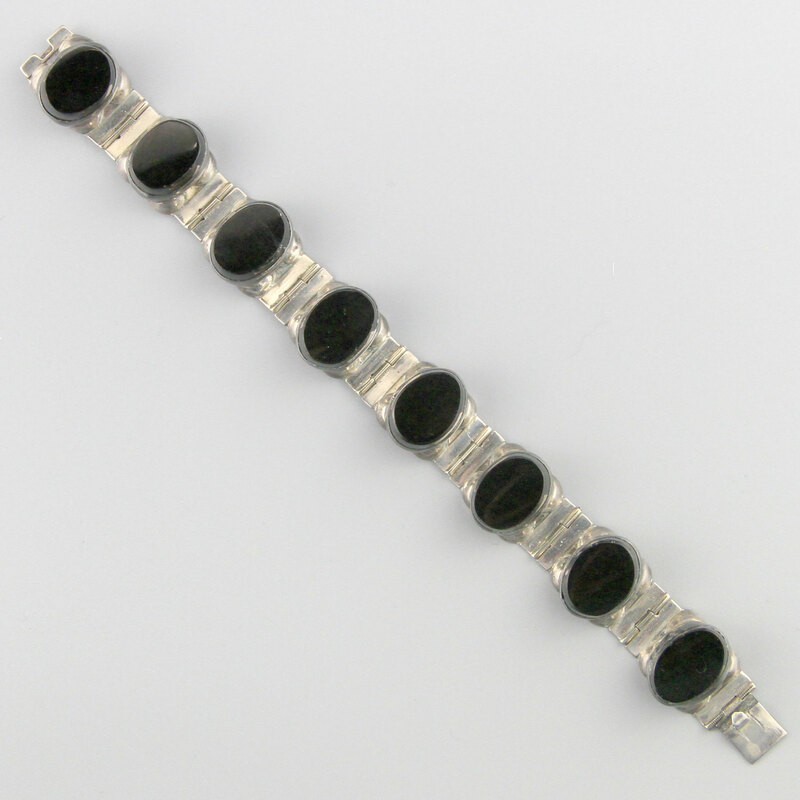 Elegant width (1.5cm) with large raised onyx cabochons in a smooth bezel sitting atop a cluster of repoussé balls - the setting stands about a centimetre high. 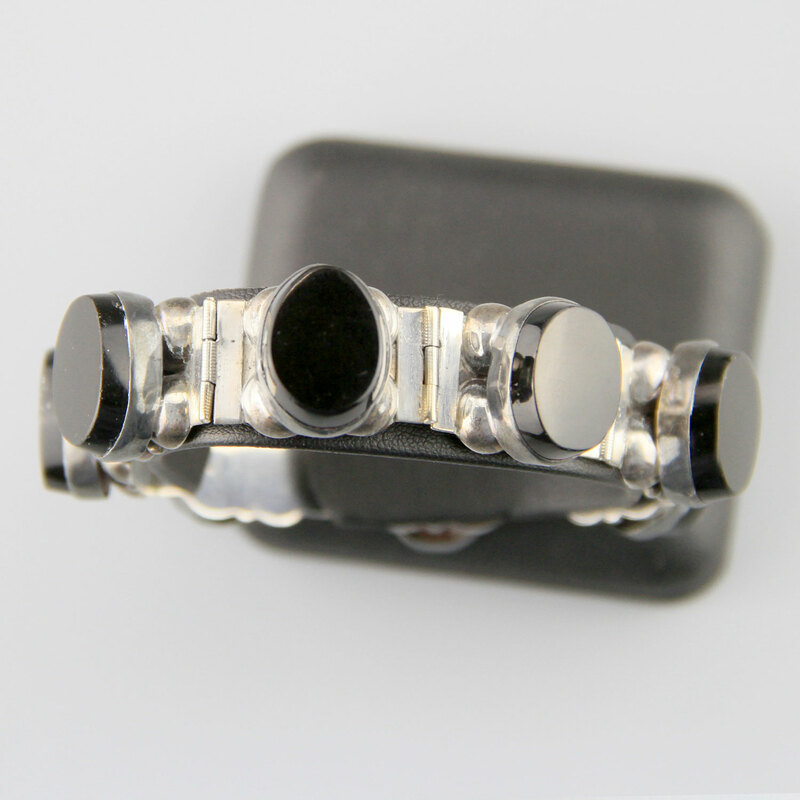 Eight links, with a tab clasp that closes securely with crisp click. Nicely made - lovely piece of mid century Mexican silver. Spectacular vintage condition. Shows mild wear commensurate with age, no dings or chips, will come with some patina, as level of polish is a matter of taste. Has a handcrafted look to it - amazing vintage earrings. 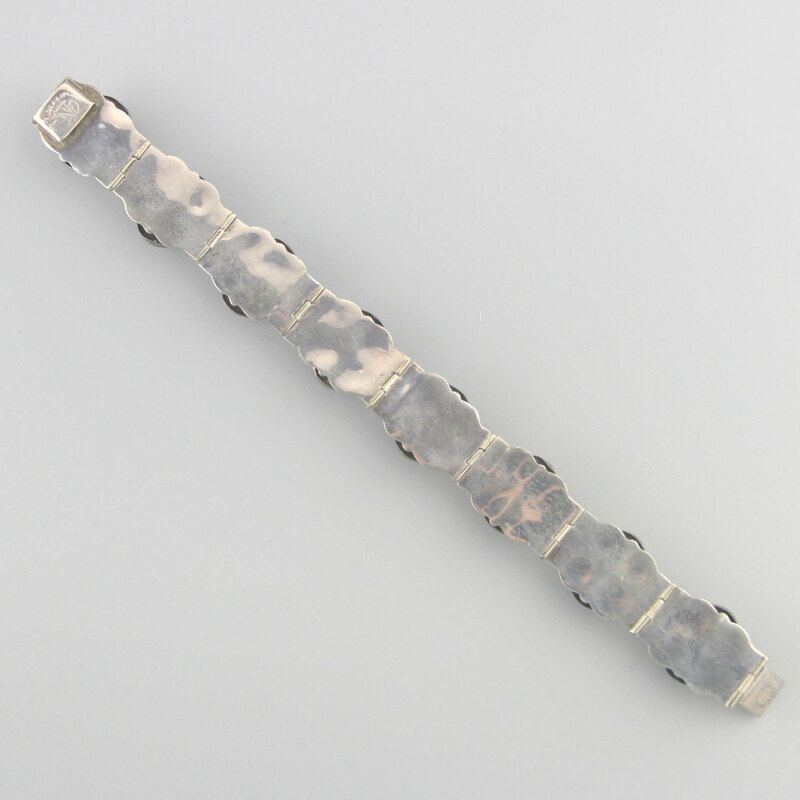 There are many aspects to dating Mexican jewellery but the hallmarks fall roughly into the following decades (this is a rough guide only as plenty of artisans mark their jewellery outside of these conventions): Simple hallmarks SILVER, STERLING, PLATA + MEXICO/TAXCO are preceding the eagle system, introduced in 1948. An EAGLE essay mark was introduced in 1948 and discontinued in 1980. The number and letter registration system eg TH-10 was introduced in 1979/1980. Essentially the first letter identifies the location the piece was created, eg T = Taxco, M = Mexico City, and the second letters is an initial of the artists name and the number is the number of individuals registered with that combination. So TH-10 would be Taxco artist, Hernandez and they would have been the 10th artisan to register that combination.